Latest on the Bruins, Leafs, and Penguins in your NHL rumor mill. NBC SPORTS BOSTON: Citing TSN’s Darren Dreger’s recent report claiming the Boston Bruins are in the market for a center, Joe Haggerty believes the Bruins simply need a forward who can skate alongside David Krejci and Jake DeBrusk on the second line or a center to bring stability to the third line. 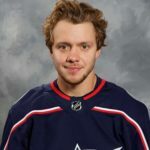 Columbus Blue Jackets left wing Artemi Panarin is the biggest name in the rumor mill but Haggerty believes the potential asking price (a top defenseman and a young forward) would be expensive. Perhaps the Bruins could sell them on Torey Krug and Danton Heinen but the Jackets would likely ask for DeBrusk. Anaheim Ducks winger Nick Ritchie would’ve been an interesting target but he’s off the table now that he’s signed a three-year contract with the Ducks. New York Rangers winger Chris Kreider would also be an attractive option for the Bruins. SPECTOR’S NOTE: The Bruins will continue monitoring the trade market for a suitable deal but it could take weeks to find one. Panarin isn’t going anywhere right now. While he’s still reluctant to re-sign with the Jackets they won’t move him as long as they’re in playoff contention this season. Pursuing Panarin would be risky if he remains unwilling to discuss a contract extension. Parting with two quality roster assets for a guy who could depart next summer wouldn’t be a smart move for any club. I doubt the Ducks signed Ritchie for the purpose of a sign-and-trade scenario. The Rangers still see Kreider as an important part of their roster retool and could be unwilling to part with him. TSN: Pierre LeBrun believes the Toronto Maple Leafs efforts to sign restricted free agent William Nylander took a positive step forward with general manager Kyle Dubas flying to Europe this week to meet with the forward’s representatives. However, lots of work remains to be done. It’s believed the two sides have not yet exchanged contract numbers. TORONTO SUN: Lance Hornby reports speculation persists over possible trade destinations for Nylander if he’s not under contract before Dec. 1. Some suggest the Nashville Predators for a defenseman like Mattias Ekholm or Ryan Ellis or the Minnesota Wild for blueliner Jared Spurgeon. NICHOLS ON HOCKEY: During a Thursday appearance on Toronto’s TSN 1050, Darren Dreger said Edmonton Oilers GM Peter Chiarelli made it clear he’s not pursuing Nylander. SPECTOR’S NOTE: Nothing really new here on Nylander’s status. I realize some of you are weary of seeing his name in the rumor mill on a daily basis but a quiet trade market and an unsigned Leaf early in the season makes his status a hot topic. So far, all the rumors linking Nylander to the Predators and Wild are based on a few pundits spitballing possible destinations. There’s no indication those teams have serious interest in Nylander. Maybe that changes in the coming weeks if Nylander remains unsigned a month from now. HOW WILL THE PENGUINS REPLACE SCHULTZ? PITTSBURGH POST-GAZETTE: Jason Mackey recently reported Penguins GM Jim Rutherford doesn’t intend to scour the trade market for a replacement for sidelined defenseman Justin Schultz ( fractured lower left leg). Rutherford said he intends to address the issue from within but acknowledged he might have to consider “other options” if the club doesn’t perform as well as hoped. SPECTOR’S NOTE: As more than one observer noted, Rutherford isn’t afraid to get active in the trade market at pretty much anytime during a season. For the time being, he’ll be patient and see how his club reacts to Schultz’s absence. Maatta certainly isn’t going anywhere now. That 3-0 SO of the league’s hottest scoring team should calm the waters in Pittsburgh for a while at least. Hi George I was at the game. I did a long summary on the Morning Coffee portion. Systematically and defensively, Pens were much tighter as they needed to be. That said— JJ absolutely brutal. I have no idea why they would even talk about Maata sitting again— it would have to be JJ. He is completely out to lunch on positioning. This was first game I’ve actually seen him play while I was in the stands. The perspective is different than viewing on TV and his blatant mistakes and being out of position (constantly) is so very apparent from me viewing the whole ice. GMJR should have taken the gamble on Dotchkin. $800 K risk— absolutely very very very little downside. He has everythign to prove. Even at 240 lbs; I fully believe he would have played better than JJ did last night. At the very least, a signing of Dotchkin would give them an option. Ducks gave up nothing but $’s and small cap to get him. They now have an asset that if all fails; they can walk away from at YE. If (as I believe) he either has already or does lose the weight and get in shape; Dotchkin has all the incentive in the world to play his heart out to prove his worth and get a contract of some merit come next July. I believe he will prove himself. Then Ducks have either a D man that they can have as depth (or IMO who can/will play in top 6 D by later this year; and possibility [read possibility not definite] of 4D somewhere in future; OR they have a tradeable asset that will bring something (anything ) back for them. Great move by Ducks— GMJR should have taken this option. If JJ continues as is— GMJR needs to make a call to one of the outstanding older UFA Ds still available (Beiksa??? Oduya???) to see if they can land them at $800K or less. JJ, I’m on my knees begging for you to prove me wrong on this —- please!!! … and again unfortunately I’ll be out of posting action for balance of day due to work— so likely my last post of day. Well, Johnson did play almost 20 minutes – 34d highest among Pitt D, blocked a shot and had 4 hits without giving up anything – according to the boxscore, So, if your perception is correct, either Murray made some great saves during his shifts – or his D partner did a great job covering up his mistakes. Murray bailed Johnson out at least 4 times against the Leafs and both regulation goals the Canucks scored could be hung on Johnsons ineptitude. Maatta sat one whole game, he is and never was in anyone’s dog house. He had a bad game and the coaching staff wanted to have a look at Jusso in a regular season game. That was the extent of it. Oleksiak was a healthy scratch the next game and he wasn’t in the doghouse either. I think before Shultz went down they were planning on using a 7 dman rotation with the bottom 3 to get Riikola some run at the start of the season. The Penguins have only lost one game in regulation, it’s far to soon to hit the panic button. Especially considering this has been their modis operandi for at least 5 years now. They have a problem getting up for teams they perceive as inferior. When the games mean something they play like a top 5 team in the league. I can see them signing Voynov, who is a right handed shot, on a show me deal and it working out for everyone. I don’t condone Voynovs decisions in any way what so ever, but if there is a team with a leadership group solid enough to handle any distraction signing him would create it’s probably the Penguins. From ownership, through the head office, through the coaching staff and the playersbit would be a good situation for Voynov to resume his life. What he did was not OK but how long does he have to pay for it. Michael Vick got to play again for f sakes. LMAO. Talk about “freaking out” – when it comes to anything smacking of criticism aimed the pens way you leave even the most thin-skinned Leafs fan in your wake. What are you? 17? As far as I’m concerned if JJ played almost 20 mins … then that was almost 18 minutes too much. Hits I’m good with. He had 2 good passes out of the zone. He was brutal in his zone. Yes his D partners did bail him out but the fwd puck support in their own end was very good . Hamlin bailed out JJ at least 3 times that I can remember; Crosby twice; Malkin a couple of times; and Murray played very well. Finally, to be fair; bounces did seem tilted in Pens favour. I don’t know why they insist on him playing that many minutes. The other 5 teammates on the ice have to wirk that much harder. Did I read the LeBrun statement above correctly? It is believed the 2 sides have not yet exchanged contract numbers. Didn’t exchange new numbers at the meeting he is saying . Which makes sense to me , if the meeting was arranged to put the final touches on a deal that was close and signing imminent why not have that meeting in Toronto ? On the other side , if a deal is not imminent and the meeting was called (by who we don’t know , find it hard to believe as Dreger suggested it was without Michael and Lewis gross , haven’t seen that confirmed ?) to talk about willies future with the team , whether that be to reassure him he’s not being moved , and is still needed and wanted (contrary to most media reports) , or to let his people know they are going to consider deals being offered. In my opinion the meeting was more in this range than a positive sign that a deal is close . If that were the case could you blame either party for wanting to keep it out of Toronto and even more logs on the fire ? Not so much either side going to the other but more mutually agreeing to stay away in this scenario . My opinion . I think nylander is doing the right things, he knows Matthews and marner are going to get a huge payday! Why would he want to be the one to take the team friendly contract? Bbb, you have criticized the living s#/÷ out of Nylander. Yet you agree with his holdout? Ahahah…your a funny guy bigbear! The offers are on the table from dubas , and Willie isn’t budging on price , nor is dubas willing to move up on his offer . I watched Lebrun say it and he was talking about new numbers while at the meeting. Exactly what I was saying Craig, seems like a long way to travel not to discuss the core issues of term and dollars. Just seems odd to me. If neither side has budged an inch , Do they just sit at home and wait for that to happen ? Is it that strange to talk about issues that are leading either side to there hard line stance ? Is it out of the norm to reassure a guy he’s part of the future when the Toronto media is selling a different view ? I don’t think it is , but I do know that if I was having a meeting to discuss things of that nature and not closing in on an imminent deal it would take place as far away from Toronto as I could . If a deal was imminent or close enough to again exchange numbers , I don’t see an issue with that taking place in Toronto. Craig, what is it you expect to happen from a face to face meeting? If Dubas is willing or won’t budget, maybe that’s the message he wanted to deliver face to face “Either sign or sit out the year”. Is Nylander willing to sit out the year? Is Toronto willing to let him sit out the year? Will Toronto trade him? Will Nylander sign a contract in the KHL or another league? Will another team sign him to an offer sheet? In the end it’s quite simple one side has to change their stance or nothing is accomplished. I guess I just see it differently Craig. Neither side is budging an inch because they disagree on the amount and or term. Of course the Leafs want to keep him, he is a very good young player. Of course he wants to stay, they are a very good young team. The Leafs have this one opportunity to maximize their leverage over the player and will use it to get long term cost certainty at a lower amount than he will likely be worth after 2 years if he keeps improving, which he likely will. The player knows it so is saying no. Hence a bridge seems like the compromise. IMO the only conversation worth having regards the term, long or bridge and the amount, based on comparable’s. Perhaps Dubas flew all the way there to talk about the vision for the Leafs long term, and how great they could be and how everybody needs to take a little less to make that happen. Fine, great, we all know that already. How much for how long. I don’t expect and didn’t expect anything to come of the face to face . I said as much , I think i pretty much said what you said in different words . I don’t think it was a positive sign for him getting signed soon and said I didn’t think the meeting was about exchanging new numbers / terms or getting Him signed . I agree it could have been dubas giving somewhat of an ultimatum, could have been nylander camp showing an offer sheet they could potentially sign , could have been about a khl team , could have been dubas wanting to assure Willie he is part of the future contrary to Toronto media . Could have been a lot of things aside from dollars and term specific . If that’s the case , wouldn’t it make more sense , even if it is rare , to keep that meeting out of Toronto ? From both sides perspective ? Also just to add I do not believe either side is willing to follow through with a missed season . Also I mentioned options , not what I believe , but I’m just giving other possibilities like the offer sheet / khl / ultimatum because I’m not pretending to say I know for certain , far more likely it’s about assurance he is part of the future or a change in direction in which he isn’t . George O..agreed Penguins need to get another defense man. While we walked in to Toronto and shut our the high powered Maple leafs that won’t happen for 4 months until Schultz comes back. Codi Ceci is available and some others to play top 4 or slide in to bottom pairing. If Maata cant crack the Penguins lineup and get on the ice what possible trade value could he have? He cant be any worse than Jack Johnson can he? Is that even possible? Not sure why Sullivan is sour on him but they should roll him out and give him a decent opportunity. He he takes advantage great, if not kick him to the curb, waive or send to the AHL. Flyers need a bloody goalie and to get rid of Macdonald asap. 3) The Funnel Defence where all plays end up in the slot or front of the net. Its getting beyond laughable at this point. Ron…He is a decent young defense man in the wrong system…he has trouble with the up tempo fast paced penguins style.. He would be a good fit in Philadelphia Ottawa Los Angeles Kings.. Dirty player who is the perfect example of, live by the sword, die by the sword. He can retire anytime in my books. Never like the Backes deal either, did like him as a player during his prime, but he was past it when he signed and yes how he plays has taken it’s toll. I didn’t think of him as dirty shoreorrpark, although didn’t watch a bunch of STL games. Back when Backes was playing tough, he gave it and took it, and also gave when his team mates took it. That is just the way it was, it isn’t that way anymore. Agree that he is struggling and looks like the past couple concussions have had an impact on him. Hopefully I’m we’re wrong about that, but if he is he needs to pack it in for his long term health. I got time for Backes all day but I think his style of play has caught up to him health wise. Hate to say it but I wouldn’t be shocked if the LTIR card is played by the Bruins at some point this season. Another concussion last night? He returned but was definitely shaken up by another shot to the chin/head. How much longer are Flyer fans supposed to endure substandard beyond mediocre goaltending? Brian Smelliott, Michelle Neuvirth and Calvin Pucktard are absolutely bruuuutal. Please please please have mercy and stick Hart or Stolarz in there. Weve had enough. Are we going to waste another season because we have AHL or worse calibre goalies?!?! Theres no way Hart or Stolarz or even Lyon can be worse than the 3 headed sievefest thats in use now. I agree, Harts a stud. Ron, you would think you would be used to it by now? Surprised they didn’t sign Halak for a couple years in the off season for 2.5. He has at least proven to be an NHL goalie. He would have been a bridge to Hart, and if Hart looks ready early than you have a quality backup that can play 30 – 40 games and break the kid in slowly to the grind of the NHL. Outside of Hextalls rookie season I havent trusted the Flyers goalies since Pelle Lindbergh. Pretty sure the Leafs would take Pickard back. How is the good young Russian defense man playing.is he too letting the forwards through ? One note of caution….don’t assume any young goalie who has not played at some length in the NHL will be able to handle the pressure there…just too many intangibles..
pleased with their young D men and now….What? word out of Montreal is Plekanec has a lower back injury and is likely out weeks. Normally I would not blink at this type of news but considering the Habs recently lost DeLaRose to the Wings on waivers and Deslauriers is ready to return from IR meaning that the Habs could stand to lose another player. Scherbak is odd man out right now so it is Plekanec on IR vs Kotkaniemi to junior / minors or Scherbak hits the waiver wire. Lamoriello and Holland have been playing this scam for years….there is always a way around the rules. Lol. That isn’t what he’s saying. Plekky is taking one for the team is what he’s saying.